Nothing spoils the fun like arguing over which best kids movie on DVD is worth watching on your family movie night. From classic musicals, princess tales, fantasy adventures to 3D computer-animated comedy, top kids movies are not only whopping hilarious, but also filled with some positive messages and thought-provoking meanings, having potential to exert a significant influence on kids and family. No matter what genres the kids DVD movies are, they're worthy of some buttered popcorn, family togetherness and immersion. Since the recent years have been witnessing many new DVD movie releases and singling out the best kids movies on DVD can be tough. Well, no need to bother. Our movie lists offer top picks of the best DVD movies for kids and all kids at heart. 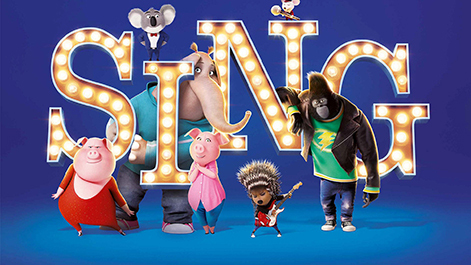 No doubt, it's one of the best kids movies in 2016, with crisp picture, amazing music songs and much fun. 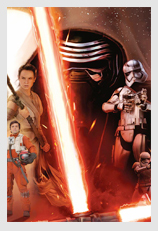 It gets 7.2 on IMDB and is 6.5 out of 10 on rottentomatoes. 85 songs are sung in this movie. If you wanna your kids calm down while you're doing something else, you are suggested to play the best kids DVD movie on TV. 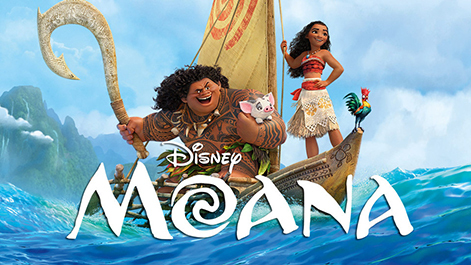 Moana absolutely wins much bells and whistles as the top Disney animated movies 2016. It is funny, tear jerking, and the soundtrack is ridiculously catchy that I can not help but to sing along to the songs. No kidding, I have not had a Disney movie choke me up so much in a long time. 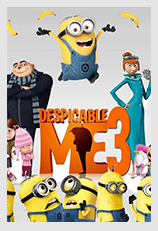 Get the kids movie download legally or purchase the best DVD movie for kids as Easter gifts. 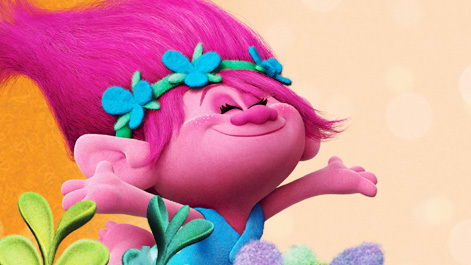 Trolls is a cute, colorful adventure inspired by the tall-haired troll dolls. it tops the best kids movie from DreamWorks in 2016, because it's like Smurfs to certain extent, but way better and funnier, making you wanna dance with the upbeat music. The animation effect looks fantastic and definitely caught children's interest. So it's a good ideal to add the Hollywood kids movie on DVD to enrich your home theatre. Honestly, not only kids but also adults who just leave the theatre want a close friend Baymax, and who can blame them? Baymax is such a soft, cuddly and adorable robot that it can comfort someone who is suffering from the sadness and gives him a warm hug. Most kids, I guess, will never feel tired of Baymax though they have watched this top animated kids movie on DVD over and over again. Every child watched Harry Potter indeed. Compared with introducing animated DVD movie to kids, maybe you'd like to let your kids know what you have watched in your childhood. Harry Potter precisely recalls your memory of the magic world that will be passed down to your kids. 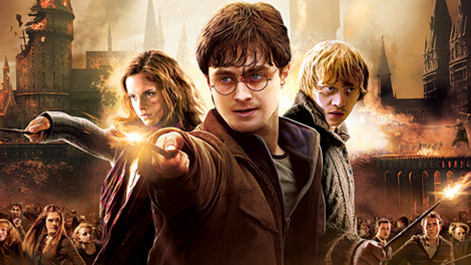 Go ahead to download or buy the best kids movies DVD set of Harry Potter to watch together with your kids. The BFG book is funny. But the Steven Spielberg makes the Disney movie even classic. 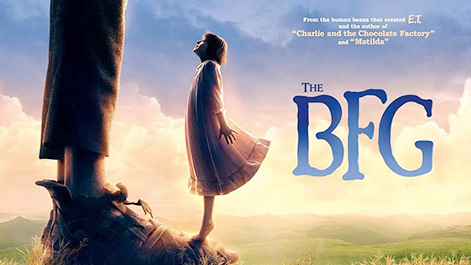 It tells a story about a ten-year-old girl Sophie who has a wonderful adventure since she meets the Big Friendly Giant. He is frightening in appearance but very kind inside. The movie was out on DVD on June 2016 and you can watch the best kids movie on DVD with your children even on your fantastic 4K TV at home. 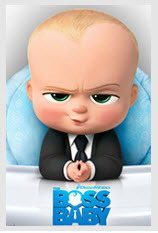 This newly released kids DVD movie has received mixed reviews. It's no doubt that the 3D special effects are awesome, taking you into a mystery virgin forest. 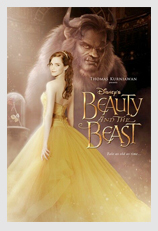 Yet, many audiences also indicate that the 2016 Disney movie is too violent for little children. Thus, you'd better get the animated DVD movie or download the animated DVD movie for kids above 10. Parents need to know if your kids have missed this animated kids movie in theatre, you'd better purchase the new kids movie on DVD version or legally rent kids digital movie for watching at family movie night. It's not only an interesting animated film from Disney, but also the best educational movie for kids of all time, teaching your children to try everything. Be brave and consistent. 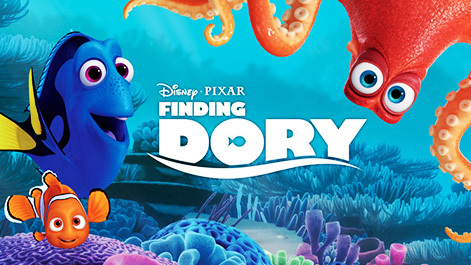 Heartfelt and well-crafted, Finding Dory is an instant classic kids movie from Pixar that kids and family will watch again and again when this top cartoon movie DVD is available. Generally, it's seemingly the parents' duty to protect the family, but here it also tells us that the family reunion can be protected by kids. Don't underestimate your kids; they might be even braver than you thought. The best kids movies on DVD not only include Hollywood animation genre, but also other genres such as superheros. 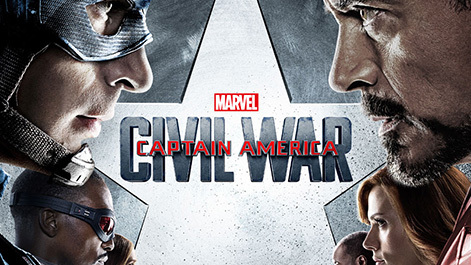 Among them, Captain America: Civil War is a must mention. Almost all the kids beloved Avengers are here, Captain America, Iron Man, Black Widow, Thor and new comers Ant-Man and Spider-Man. These top kids DVD movies and legal kids movie streaming are available. Who do you love most? 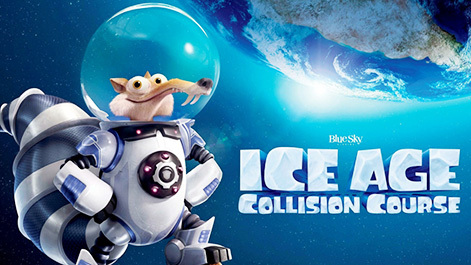 Have to admit that the Ice Age 5: Collision Course is an entertaining movie for kids and toddlers, cuz it's funny and excellent in 3D computer animation effects. It's quite suitable for family relaxation. It's a good choice to buy the new released DVD movie for kids as a present. Yet, for adults, the 5th Ice Age, like other sequels, has the same problem: lacking the originality. 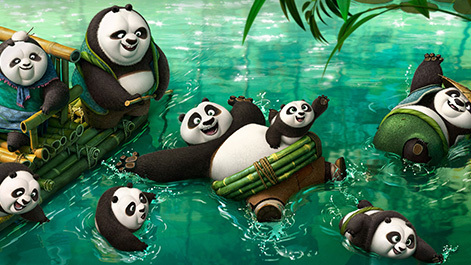 Kung Fu Panda 3, a creation with both Eastern and Western elements, is an exciting animated adventure comedy and also the best among the new kids DVD releases, which lets you step into a panda-centered paradise to enjoy their true heroism and mysterious power. You can download the animated kids movie trailer if you only wanna catch the highlights. You know, DVDs are susceptible to all kinds of damages when they're not in their plastic cases. A single, tiny scratch can render your best kids movies on DVD discs unreadable by your player. What's worse, the new movie releases on DVD can't directly play on your kids lightweight iPad or other tablets when they go travelling or camping. In such case, DVD copy software serves as a bulwark against these problems by allowing you to backup top kids movies on DVD to PC, hard drive or iPhone iPad tablets. ● Copy kids movies from DVD to computer, hard drive, USB drive, etc. ● Rip kids DVD movies to MP4, MOV, MKV, AVI, FLV, MPEG-2, VOB, etc. ● Solve issues of Disney file over 60GB, 99-title DVD, distorted image. 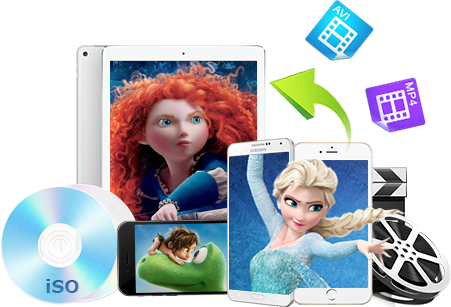 ● Convert kids DVD releases to iPhone iPad Android with 350+ profiles. 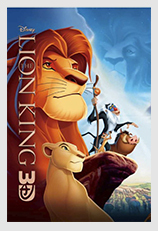 When you search best DVD movies for kids, the first appearing on your radar is Disney. 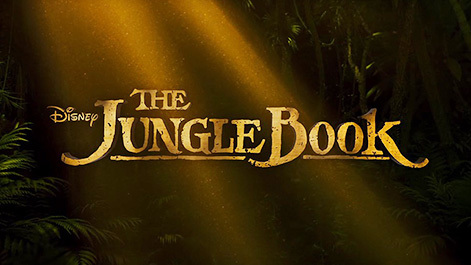 From the Snow White and the Seven Dwarfs in 1937, The Lion King in 1994 to the big hit Frozen in 2013, Disney produces countless classic kids-friendly movies for generations. Thanks Disney filmmakers to create a wide selection of top kids movies DVD collection for us; some are human nature touchstones and others are crammed with imagination. Here we present our top picks of Disney-branded Hollywood movies list on DVD, covering the sensational blockbusters and some less-obvious options, as well. 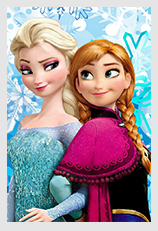 Frozen is the most successful animated movie for Disney in recent years, with $218 million sales on DVD. It's No. 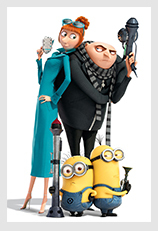 1 in both DVD/Blu-ray disc sales and digital downloads and tops Amazon's list of family movies. To protect this best Disney kids movie DVD from scratches or damage, you can use a DVD ripper to backup Frozen to computer. Hats off to Walt Disney for offering so many surprises to us in this classic best kids movie, filled with an epic plot, humor, fun and jaunty songs by Elton John and Tim Rice. If you haven't seen this Disney movie, you can make use of a solid movie downloader to free download the animated kids movies trailer at full speed. Moana, "The Chosen One", exerts herself to break the ocean curse and seek out the demigod to make everything be right. Alice in Wonderland creates a candy-colored magic world for kids where you can also be a hero with super power to save the world. Are monsters intimidating? Not the case in this top Disney Kids DVD movie. You can watch the most adorable monsters online or movie rental service. Majority of audiences instantly fall in love with this Disney kids movie as soon as they watch the official trailer. Always top the list of kids movies on DVD. The Hollywood animated movie business is booming around the globe from 1930s until now. And there are several big hits in animated kids movies almost each year, like Frozen in 2013, Big Hero 6 in 2014, Zootopia in 2016. Of course, we have deep impression on the latest successful animated kids movies on DVD, but in terms of the classic best kids animated cartoon movies, we might miss a lot. Now we collect the classic animated DVD movies for kids for your reference if you just happen to have nothing good to watch. 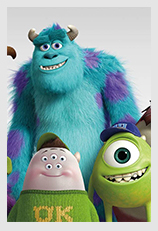 Monsters University mainly talks about the friendship regain between Mike and Sulley, not family this time. If you plan to have a review on this top Hollywood movie to kill time on the road, you can consider to free download this animated kids movies highlights for watching when you are on the road with no cellular data or Wi-Fi. Generally, franchises are born more from box-office success than creative necessity, and it's partly true because the Despicable Me becomes the 10th-biggest and best animated movie for kids in U.S.. On the other hand, Despicable Me 2 only keeps a fraction of its predecessor, as for plots, mostly with originality. Pixar's classic animated kids movie on DVD Toy Story wins 8.3 high scores of 10 and 8.9 out of 10 average ratings on rotten tomatoes. The common superhero movies are based on one or several superheroes who are unrelated. Yet, this one is composed of a family of superheroes. When it comes to best Easter movies for kids, Bugs Bunny's Easter Funnies is the one you can't miss. Funny bunnies, colorful Easter eggs are all here. Nothing would be better than watching a Christmas movie for kids at Christmas Eve. Open DVD player, insert DVD and enjoy the top kids animated movie. Hollywood kids movies pipeline has transitioned from a trickle to a steady flow, and in the recent years, it becomes more like a rushing river with a large number of new kids movies releases on DVD and digital versions. And 2017 is no of exception and it's scheduled to bring more well-crafted movies for kids. Can't wait? Check out the below 2017 new movies list for kids and family and download best kids movie trailers of 2017 to have a sneak peek. Watch the Spider-Man: Homecoming movie trailer? 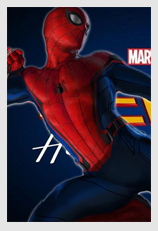 If so, you will find that the amazing Spider-Man Andrew Garfield now is replaced by Tom Holland in the 2017 Spider-Man movie and Iron Man also plays a role in this top kids movie. Marvel's 2017 franchise Star Wars: Episode VIII keeps getting better, centering on Rey's continual adventure and new face like Stormtrooper. Since Wars 7 PG-13 rating, kids are advised to watch it with parents. Time flies! Our adorable Hermione Granger now becomes the beautiful and kind-hearted young lady Belle and she will begin a fantastic adventure with a monstrous prince (Dan Stevens). Even more romantic than Cinderella. Missed the funny cute minions? They come back in the upcoming 2017 kids movie - Despicable Me 3 and continue the interesting adventure with their master Gru. 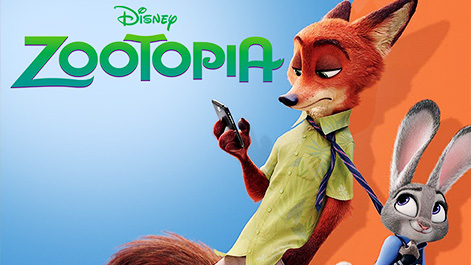 Don't miss this new top kids movie this time. Cars 3 release day gets around to arriving. You can now discuss the date with your kids which day available to go theatre. 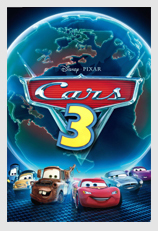 If you have too much on your plate, you can buy Car 3 DVD disc to watch at home with your kids. The sequel of How to Train Your Dragon franchise, this kids cartoon movie continues the story of Hiccup, Toothless and the Dragon Riders. This time, Toothless will meet a white female Light and there is new challenge. There is a secret world in your smartphone named Textopolis, one of the top new kids movies 2017 where your favorite emojis live. They're not still now, but alive. Smurfette and her friends will embark on another exciting adventure in 2017 kids animated movie. 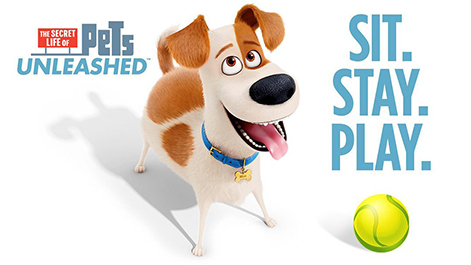 Download the kids movie trailer to get the main plot. Now happily settling with the Brown family, he prepares a secret gift for his uncle, but something unexpected happen. Kids will have some reasons to stare on this kids movie 2017. Batman is so cool, powerful and handsome. But in this upcoming 2017 kids movie The Lego Batman, you will see another superhero, funny & interesting. Imagination in the best kids animated movies are kids' favorite, but they also rejoice at listening to the catchy kids songs and watching funny baby videos. YouTube provides them with a wide selection of choices. 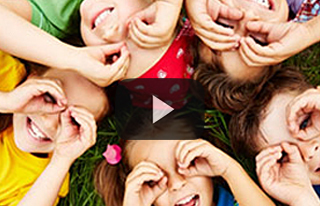 Here we select out the top funny baby videos and kids songs on YouTube for kids entertainment. This is a funny kids vines compilation of 2016, which attracts 46 millions views on YouTube from August, 2016 until now. How to make life awesome? Be the one who is good at discovering the fun from life and our adorable little babies, as well. If you feel tired after caring for your naught babies or kids, you're suggested to watch this funny video for a rest, a baby eating lemons. Due to fragility, there's a must to backup kids DVD movies to avoid any scratch. But commercial discs, especially Disney DVDs, come with copy protections, you have to bypass the encryptions and rip protected DVD to avoid any error. There are cases you live in America but cannot play the new kids movies on DVD you bought in Britain. This is because of region code that limits DVDs from being played on players in other codes. You need to remove region code on DVD first. You cannot play DVD on mobiles directly due to the lack of DVD drive & MPEG2 decoder and don't want to waste money repurchasing media from iTunes. A solid way to have your kids movies on DVD playable on the go is to digitize DVD. Ultimate DVD Ripper to make 1:1 DVD copy in 5 min and rip kids DVD movies to MP4, MOV, AVI, MKV, etc for playing on PC, Mac, iPhone, iPad, Android etc, regardless of any copy protections. 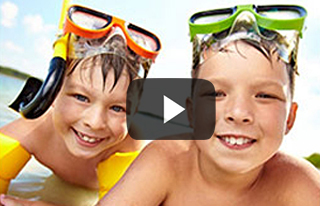 100% free download kids songs, funny videos from YouTube, Vimeo, Vevo, Dailymotion, etc. 300+ sites.